Strong earthquake shocks have been felt from Iran - Pakistan - India and even Papua and New Guinea at 10.44 UTC. 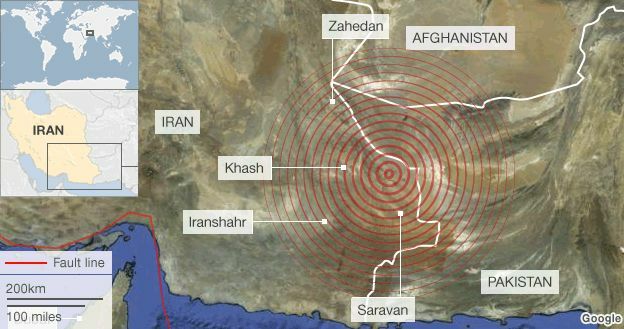 The earthquake struck in the province of Sistan Baluchistan at about 15:14 local time (10:44 GMT), close to the cities of Khash, which has a population of nearly 180,000, and Saravan, where 250,000 live. The tremor measured 7.8 on Richter scale that struck Iran, near the border with Pakistan, at 10:44 GMT on Tuesday at a depth of 73 miles The U.S. Geological survey said. 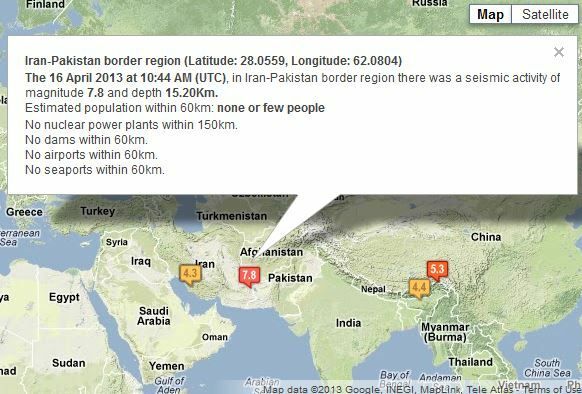 The epicentre of the quake was near the south-east city of Khash, close to the Pakistani border.